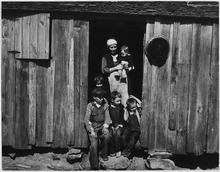 Some other aspects of the historical and cultural development of the South have been influenced by the institution of slave labor on plantations in the Deep South to an extent seen nowhere else in the United States; the presence of a large proportion of African Americans in the population; support for the doctrine of states’ rights, and the legacy of racial tension magnified by the Civil War and Reconstruction Era, as seen in thousands of lynchings (mostly from 1880 to 1930), the segregated system of separate schools and public facilities known as “Jim Crow laws“, that lasted until the 1960s, and the widespread use of poll taxes and other methods to frequently deny black people of the right to vote or hold office until the 1960s. Since the late 1960s, black people have held many offices in Southern states, especially in the coastal states of Virginia and South Carolina. Black people have also been elected or appointed as mayors and police chiefs in the metropolises of Baltimore, Charlotte, Birmingham, Richmond, Columbia, Memphis, Houston, Atlanta, Jacksonville, and New Orleans, and serve in both the U.S. Congress and state legislatures. Historically, the South relied heavily on agriculture, and was highly rural until after 1945. It has since become more industrialized and urban and has attracted national and international migrants. The American South is now among the fastest-growing areas in the United States. Houston is the largest city in the Southern United States. Sociological research indicates that Southern collective identity stems from political, demographic, and cultural distinctiveness from the rest of the United States. The region contains almost all of the Bible Belt, an area of high Protestant church attendance (especially evangelical churches such as the Southern Baptist Convention) and predominantly conservative, religion-influenced politics. Indeed, studies have shown that Southerners are more conservative than non-Southerners in several areas, including religion, morality, international relations, and race relations. This is evident in both the region’s religious attendance figures and in the region’s usually strong support for the Republican Party in political elections since the 1960s, and especially since the 1990s. Apart from its climate, the living experience in the South increasingly resembles the rest of the nation. The arrival of millions of Northerners (especially in major metropolitan areas and coastal areas) and millions of Hispanics has meant the introduction of cultural values and social norms not rooted in Southern traditions. Observers conclude that collective identity and Southern distinctiveness are thus declining, particularly when defined against “an earlier South that was somehow more authentic, real, more unified and distinct”. However, journalist Michael Hirsh proposed that aspects of Southern culture have spread throughout a greater portion of the rest of the United States in a process termed “Southernization“. 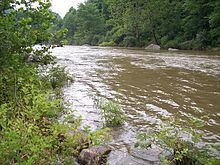 Border South: Missouri, Kentucky, Maryland, and Delaware were states on the outer rim of the Confederacy that did not secede from the United States in the 1860s, but did have significant numbers of residents who joined the Confederate armed forces. Kentucky and Missouri had Confederate governments-in-exile and were represented in the Confederate Congress and by stars on the Confederate battle flag. West Virginia formed in 1863 after the western region of Virginia broke away to protest the Old Dominion’s joining of the Confederacy, but residents of the new state were about evenly divided on supporting the Union or the Confederacy. The popular definition of the “South” is more informal and generally associated with the 11 states that seceded before or during the Civil War to form the Confederate States of America. In order of their secession, these were: South Carolina, Mississippi, Florida, Alabama, Georgia, Louisiana, Texas, Virginia, Arkansas, Tennessee, and North Carolina. These states share commonalities of history and culture that carry on to the present day. 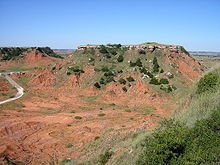 Oklahoma was not a state during the Civil War, but all its major Native American tribes signed formal treaties of alliance with the Confederacy. The Mississippian culture was a complex, mound-building Native American culture that flourished in what is now the southeastern United States from approximately 800 AD to 1500 AD. Natives had elaborate and lengthy trading routes connecting their main residential and ceremonial centers extending through the river valleys and from the East Coast to the Great Lakes. Some noted explorers who encountered and described the Mississippian culture, by then in decline, included Pánfilo de Narváez (1528), Hernando de Soto (1540), and Pierre Le Moyne d’Iberville (1699). In 1780 and 1781, the British largely halted reconquest of the northern states, and concentrated on the south, where they were told there was a large Loyalist population ready to leap to arms once the royal forces arrived. The British took control of Savannah and Charleston, capturing a large American army in the process, and set up a network of bases inland. There were many more Loyalists in the South than in the North, but they were concentrated in larger coastal cities and were not great enough in number to overcome the revolutionaries. Large numbers of loyalists from South Carolina fought for the British in the Battle of Camden. The British forces at the Battle of Monck’s Corner and the Battle of Lenud’s Ferry consisted entirely of Loyalists with the exception of the commanding officer (Banastre Tarleton). 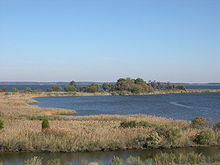 Both white and black Loyalists fought for the British at the Battle of Kemp’s Landing in Virginia. Led by Nathanael Greene and other generals, the Americans engaged in Fabian tactics designed to wear down the British invasion force, and to neutralize its strong points one by one. There were numerous battles large and small, with each side claiming some victories. By 1781, however, British General Cornwallis moved north to Virginia, where an approaching army forced him to fortify and await rescue by the British Navy. The British Navy did arrive, but so did a stronger French fleet, and Cornwallis was trapped. American and French armies, led by Washington, forced Cornwallis to surrender his entire army in Yorktown, Virginia in October 1781, effectively winning the North American part of the war. The Revolution provided a shock to slavery in the South. Thousands of slaves took advantage of wartime disruption to find their own freedom, catalyzed by the British Governor Dunmore of Virginia’s promise of freedom for service. Many others were removed by Loyalist owners and became slaves elsewhere in the Empire. Between 1770 and 1790, there was a sharp decline in the percentage of blacks – from 61% percent to 44% in South Carolina and from 45% to 36% in Georgia. Cotton became dominant in the lower South after 1800. After the invention of the cotton gin, short staple cotton could be grown more widely. This led to an explosion of cotton cultivation, especially in the frontier uplands of Georgia, Alabama and other parts of the Deep South, as well as riverfront areas of the Mississippi Delta. Migrants poured into those areas in the early decades of the 19th century, when county population figures rose and fell as swells of people kept moving west. The expansion of cotton cultivation required more slave labor, and the institution became even more deeply an integral part of the South’s economy. Two major political issues that festered in the first half of the 19th century caused political alignment along sectional lines, strengthened the identities of North and South as distinct regions with certain strongly opposed interests, and fed the arguments over states’ rights that culminated in secession and the Civil War. One of these issues concerned the protective tariffs enacted to assist the growth of the manufacturing sector, primarily in the North. In 1832, in resistance to federal legislation increasing tariffs, South Carolina passed an ordinance of nullification, a procedure in which a state would, in effect, repeal a Federal law. Soon a naval flotilla was sent to Charleston harbor, and the threat of landing ground troops was used to compel the collection of tariffs. 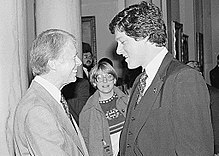 A compromise was reached by which the tariffs would be gradually reduced, but the underlying argument over states’ rights continued to escalate in the following decades. The second issue concerned slavery, primarily the question of whether slavery would be permitted in newly admitted states. The issue was initially finessed by political compromises designed to balance the number of “free” and “slave” states. The issue resurfaced in more virulent form, however, around the time of the Mexican–American War, which raised the stakes by adding new territories primarily on the Southern side of the imaginary geographic divide. Congress opposed allowing slavery in these territories. Historic Southern United States. The states in stripes were considered “border states“, and gave varying degrees of support to the Southern cause although they remained in the Union. This illustration depicts the original, trans-Allegheny borders of Virginia, thus does not show West Virginia separately. Although members of the Five Tribes in Indian Territory (today part of Oklahoma) aligned themselves with the Confederacy, the region is not shaded because at the time it was a territory, not a state. By 1856, the South had lost control of Congress, and was no longer able to silence calls for an end to slavery—which came mostly from the more populated, free states of the North. The Republican Party, founded in 1854, pledged to stop the spread of slavery beyond those states where it already existed. After Abraham Lincoln was elected the first Republican president in 1860, seven cotton states declared their secession and formed the Confederate States of America before Lincoln was inaugurated. The United States government, both outgoing and incoming, refused to recognize the Confederacy, and when the new Confederate President Jefferson Davis ordered his troops to open fire on Fort Sumter in April 1861, there was an overwhelming demand, North and South, for war. Only the state of Kentucky attempted to remain neutral, and it could only do so briefly. When Lincoln called for troops to suppress what he referred to as “combinations too powerful to be suppressed by the ordinary” judicial or martial means, four more states decided to secede and join the Confederacy (which then moved its capital to Richmond, Virginia). Although the Confederacy had large supplies of captured munitions and many volunteers, it was slower than the Union in dealing with the border states. By March 1862, the Union largely controlled Maryland, West Virginia, Kentucky and Missouri, had shut down all commercial traffic from all Confederate ports, had prevented European recognition of the Confederate government, and was poised to seize New Orleans. 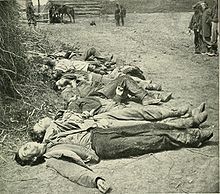 Confederate dead of General Ewell’s Corps who attacked the Union lines at the Battle of Spotsylvania, May 19, 1864. The Confederate cause was hopeless by the time Atlanta fell and William T. Sherman marched through Georgia in late 1864, but the rebels fought on, refusing to give up their independence until Lee’s army surrendered in April 1865. All the Confederate forces surrendered, and the region moved into the Reconstruction Era. After the Civil War, the South was devastated in terms of population, infrastructure and economy. Because of states’ reluctance to grant voting rights to freedmen, Congress instituted Reconstruction governments. It established military districts and governors to rule over the South until new governments could be established. Many white Southerners who had actively supported the Confederacy were temporarily disenfranchised. 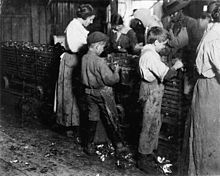 Rebuilding was difficult as people grappled with the effects of a new labor economy of a free market in the midst of a widespread agricultural depression. In addition, what limited infrastructure the South had was mostly destroyed by the war. At the same time, the North was rapidly industrializing. To avoid the social effects of the war, most of the Southern states initially passed black codes. Eventually, these were mostly legally nullified by federal law and anti-Confederate legislatures, which existed for a short time during Reconstruction. Northerners came south to participate in politics and business. Some were representatives of the Freedmen’s Bureau and other agencies of Reconstruction; some were humanitarians with the intent to help black people. Some were adventurers who hoped to benefit themselves by questionable methods. They were all condemned with the pejorative term of carpetbagger. Some Southerners also took advantage of the disrupted environment and made money off various schemes, including bonds and financing for railroads. Secret vigilante organizations such as the Ku Klux Klan—an organization sworn to perpetuate white supremacy—had arisen quickly after the war’s end and used lynching, physical attacks, house burnings and other forms of intimidation to keep African Americans from exercising their political rights. Although the first Klan was disrupted by prosecution by the Federal government in the early 1870s, other groups persisted. By the mid-to-late-1870s, elite Southerners created increasing resistance to the altered social structure. Paramilitary organizations such as the White League in Louisiana (1874), the Red Shirts in Mississippi (1875) and rifle clubs, all “White Line” organizations, used organized violence against Republicans, both black and white, to remove Republicans from political office, repress and bar black voting, and restore the Democratic Party to power. In 1876 white Democrats regained power in most of the state legislatures. They began to pass laws designed to strip African Americans and poor whites from the voter registration rolls. The success of late-19th century interracial coalitions in several states inspired a reaction among some white Democrats, who worked harder to prevent both groups from voting. Despite discrimination, many blacks became property owners in areas that were still developing. 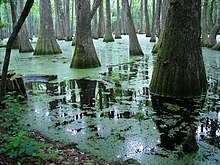 For instance, 90% of the Mississippi’s bottomlands were still frontier and undeveloped after the war. By the end of the century, two-thirds of the farmers in Mississippi’s Delta bottomlands were black. They had cleared the land themselves and often made money in early years by selling off timber. Tens of thousands of migrants went to the Delta, both to work as laborers to clear timber for lumber companies, and many to develop their own farms. Nonetheless, the long agricultural depression, along with disenfranchisement and lack of access to credit, led to many blacks in the Delta losing their property by 1910 and becoming sharecroppers or landless workers over the following decade. More than two generations of free African Americans lost their stake in property. From 1890 to 1908, ten of the eleven former Confederate states, along with Oklahoma upon statehood, passed disfranchising constitutions or amendments that introduced voter registration barriers—such as poll taxes, residency requirements and literacy tests—that were hard for many poor to meet. Most African Americans, most Mexican Americans, and tens of thousands of poor whites were disfranchised, losing the vote for decades. In some states, grandfather clauses temporarily exempted white illiterates from literacy tests. The numbers of voters dropped drastically throughout the former Confederacy as a result. This can be seen via the feature “Turnout in Presidential and Midterm Elections” at the University of Texas’ Politics: Barriers to Voting. Alabama, which had established universal white suffrage in 1819 when it became a state, also substantially reduced voting by poor whites. 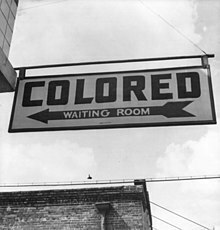 Democrat-controlled legislatures passed Jim Crow laws to segregate public facilities and services, including transportation. The first major oil well in the South was drilled at Spindletop near Beaumont, Texas, on the morning of January 10, 1901. Other oil fields were later discovered nearby in Arkansas, Oklahoma, and under the Gulf of Mexico. The resulting “Oil Boom” permanently transformed the economy of the West South Central states and produced the most significant economic expansion after the Civil War. In the early 20th century, invasion of the boll weevil devastated cotton crops in the South, producing an additional catalyst to African Americans’ decisions to leave the South. From 1910 to 1970, more than 6.5 million African Americans left the South in the Great Migration to Northern and Western cities, defecting from persistent lynching, violence, segregation, poor education, and inability to vote. Black migration transformed many Northern and Western cities, creating new cultures and music. Many African Americans, like other groups, became industrial workers; others started their own businesses within the communities. Southern whites also migrated to industrial cities like Chicago, Detroit, Oakland, and Los Angeles, where they took jobs in the booming new auto and defense industry. President Franklin D. Roosevelt noted the South as the “number one priority” in terms of need of assistance during the Great Depression. His administration created programs such as the Tennessee Valley Authority in 1933 to provide rural electrification and stimulate development. Locked into low-productivity agriculture, the region’s growth was slowed by limited industrial development, low levels of entrepreneurship, and the lack of capital investment. World War II marked a time of change in the South as new industries and military bases were developed by the Federal government, providing badly needed capital and infrastructure in many regions. People from all parts of the US came to the South for military training and work in the region’s many bases and new industries. Farming shifted from cotton and tobacco to include soybeans, corn, and other foods. The two largest research parks in the country are located in the South: Research Triangle Park in North Carolina (the world’s largest) and the Cummings Research Park in Huntsville, Alabama (the world’s fourth largest). The predominant culture of the South has its origins with the settlement of the region by large groups of Northern English, Scots lowlanders and Ulster-Scots (later called the Scotch-Irish) who settled in Appalachia and the Piedmont in the 18th century, and from parts of southern England such as East Anglia, Kent and the West Country in the 17th century, and the many African slaves who were part of the Southern economy. African-American descendants of the slaves brought into the South compose the United States’ second-largest racial minority, accounting for 12.1 percent of the total population according to the 2000 census. 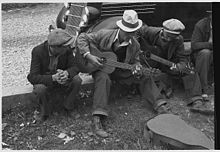 Despite Jim Crow era outflow to the North, the majority of the black population remains concentrated in the Southern states, and has heavily contributed to the cultural blend (Christianity, foods, art, music (see spiritual, blues, jazz and rock and roll)) that characterize Southern culture today. In previous censuses, the largest ancestry group identified by Southerners was English or mostly English, with 19,618,370 self-reporting “English” as an ancestry on the 1980 census, followed by 12,709,872 listing “Irish” and 11,054,127 “Afro-American“. Almost a third of all Americans who claim English ancestry can be found in the American South, and over a quarter of all Southerners claim English descent as well. The South also continues to have the highest percentage of African Americans in the country, due to the history of slavery. 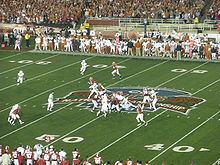 The region is home to numerous decorated and historic college football programs, particularly in the Southeastern Conference (known as the “SEC”), Atlantic Coast Conference (known as the “ACC”), and the Big 12 Conference. The SEC, consisting entirely of teams based in Southern states, is widely considered to be the strongest league in contemporary college football and includes the Alabama Crimson Tide, the program with the most national championships in the sport’s history. The sport is also highly competitive and has a spectator following at the high school level, particularly in rural areas where high school football games often serve as prominent community gatherings. Though not as popular on a wider basis as the collegiate game, professional football also has a growing tradition in the Southern United States. Before league expansion began in the 1960s, the only established professional team based in the South was the Washington Redskins, who still retain a large following in most of Virginia, and parts of Maryland. Later on, the merger-era National Football League began to expand into the football-crazed Deep South in the 1960s with franchises like the Atlanta Falcons, New Orleans Saints, Houston Oilers, Miami Dolphins, and most prominently the Dallas Cowboys, who overtook Washington as the region’s most popular team and eventually became widely considered the most popular team in the United States. In later decades, NFL expansion into Southern states continued, with the Tampa Bay Buccaneers, Jacksonville Jaguars, and Carolina Panthers added to the league, while the Houston Oilers were replaced by the Houston Texans after the Oilers relocated to Nashville to become the Tennessee Titans. College baseball appears to be more well attended in the Southern U.S. than elsewhere, as teams like Florida State, Arkansas, LSU, Virginia, Mississippi State, Ole Miss, South Carolina, and Texas are commonly at the top of the NCAA‘s attendance. The South generally produces very successful collegiate baseball teams as well, with Virginia, Vanderbilt, LSU, and South Carolina winning recent College World Series Titles. The Southern states are commonly associated with stock car racing and its most prominent competition NASCAR, which is based in Charlotte, North Carolina. The sport was developed in the Deep South in the early 20th century, with stock car racing’s historic mecca being Daytona Beach, Florida, where cars initially raced on the wide, flat beachfront before the construction of Daytona International Speedway. Though the sport has attained a following throughout the United States, a majority of NASCAR races continue to take place at Southern tracks. Golf is a popular recreational sport in most areas of the South, with the region’s warm climate allowing it to host many professional tournaments and numerous destination golf resorts, particularly in the state of Florida. The region is home to The Masters, an elite invitational competition played at Augusta National Golf Club in Augusta, Georgia, which has become one of the professional game’s most important tournaments. In recent decades association football, known in the South as in the rest of the United States as “soccer”, has become a popular sport at youth and collegiate levels throughout the region. The game has been historically widespread at the college level in the Atlantic coast states of Maryland, Virginia, and the Carolinas, which contain many of the nation’s most successful college soccer programs. For cancer in a region, the South, particularly an axis from West Virginia through Texas, leads the nation in adult obesity, adult smoking, low exercise, low fruit consumption, low vegetable consumption, all known cancer risk factors, which matches a similar high risk axis in “All Cancers Combined, Death Rates by State, 2011” from the Centers for Disease Control and Prevention. Increasing support for civil rights legislation by the national Democratic Party beginning in 1948 caused segregationist Southern Democrats to nominate Strom Thurmond on a third-party “Dixiecrat” ticket in 1948. These Dixiecrats returned to the party by 1950, but Southern Democrats held off Republican inroads in the suburbs by arguing that only they could defend the region from the onslaught of northern liberals and the civil rights movement. In response to the Brown v. Board of Education ruling of 1954, 101 Southern congressmen (19 senators, 82 House members of which 99 were Southern Democrats and 2 were Republicans) in 1956 denounced the Brown decisions as a “clear abuse of judicial power [that] climaxes a trend in the federal judiciary undertaking to legislate in derogation of the authority of Congress and to encroach upon the reserved rights of the states and the people.” The manifesto lauded, “…those states which have declared the intention to resist enforced integration by any lawful means”. It was signed by all Southern senators except Majority Leader Lyndon B. Johnson, and Tennessee senators Albert Gore, Sr. and Estes Kefauver. Virginia closed schools in Warren County, Prince Edward County, Charlottesville, and Norfolk rather than integrate, but no other state followed suit. Democratic governors Orval Faubus of Arkansas, Ross Barnett of Mississippi, John Connally of Texas, Lester Maddox of Georgia, and, especially, George Wallace of Alabama resisted integration and appealed to a rural and blue-collar electorate. The migration also empowered the growing Civil Rights Movement. While the movement existed in all parts of the United States, its focus was against disfranchisement and the Jim Crow laws in the South. Most of the major events in the movement occurred in the South, including the Montgomery Bus Boycott, the Mississippi Freedom Summer, the March on Selma, Alabama, and the assassination of Martin Luther King, Jr.. In addition, some of the most important writings to come out of the movement were written in the South, such as King’s “Letter from Birmingham Jail“. Most of the civil rights landmarks can be found around the South. The Birmingham Civil Rights National Monument in Birmingham includes the Birmingham Civil Rights Institute which details Birmingham’s role as the epicenter of the Civil Rights Movement. The 16th Street Baptist Church served as a rallying point for coordinating and carrying out the Birmingham campaignas well as the adjacent Kelly Ingram Park that served as ground zero for the infamous children’s protest that eventually led to the passage of the Civil Rights Act of 1964 has been rededicated as a place of “Revolution and Reconciliation” and is now the setting of moving sculptures related to the battle for Civil Rights in the city, both are center pieces of the Birmingham Civil Rights District. The Martin Luther King, Jr., National Historic Site in Atlanta includes a museum that chronicles the American Civil Rights Movement as well as Martin Luther King, Jr.’s boyhood home on Auburn Avenue. Additionally, Ebenezer Baptist Church is located in the Sweet Auburn district as is the King Center, location of Martin Luther and Coretta Scott King’s gravesites. The Civil Rights Movement ended Jim Crow laws across the South. A second migration appears to be underway, with African Americans from the North moving to the South in record numbers. While race relations are still a contentious issue in the South, the region surpasses the rest of the country in many areas of integration and racial equality. According to 2003 report by researchers at the University of Wisconsin–Milwaukee, Virginia Beach, Charlotte, Nashville-Davidson, and Jacksonville were the five most integrated of the nation’s fifty largest cities, with Memphis at number six. Southern states tend to have a low disparity in incarceration rates between blacks and whites relative to the rest of the country. Some Southerners use the Confederate flag to identify themselves with the South, states’ rights and Southern tradition. Groups, such as the League of the South, have a high regard for the secession movement of 1860, citing a desire to protect and defend Southern heritage. Numerous political battles have erupted over flying the Confederate flag over state capitols, and the naming of public buildings or highways after Confederate leaders, the prominence of certain statues, and the everyday display of Confederate insignia. Other symbols of the South include the Bonnie Blue Flag, magnolia trees, and the song “Dixie“. ^ a b “Census Regions and Divisions of the United States” (PDF). U.S. Census Bureau. Retrieved June 9, 2016. ^ “Table 12. Annual Estimates of State Population Totals: 2010-2017 (CBSA-EST2012-01)”. March 2017 United States Census. United States Census Bureau, Population Division. ^ a b “south”. TheFreeDictionary.com. Retrieved September 30, 2014. ^ “Geological Society of America – Southeastern Section”. geosociety.org. Retrieved June 29, 2016. ^ “Southern Legislative Conference – Serving the South”. slcatlanta.org. Archived from the original on October 6, 2014. ^ “About – CSG”. csg-erc.org. Retrieved June 29, 2016. ^ “Home : Geographic Information : U.S. Bureau of Labor Statistics”. bls.gov. Retrieved June 29, 2016. ^ “Regional Climate Centers – National Centers for Environmental Information (NCEI) formerly known as National Climatic Data Center (NCDC)”. noaa.gov. Retrieved June 29, 2016. ^ “Region and Area Maps”. scouting.org. Retrieved June 29, 2016. ^ “Northeast Regional Office – National Historic Landmarks Program”. nps.gov. Retrieved June 29, 2016. ^ “Gallup Poll: U.S. race relations by region; The South” Archived May 27, 2016, at the Wayback Machine. November 19, 2002. ^ “Census Bureau Regions and Divisions with State FIPS Codes” (PDF). US Census. December 2008. Archived from the original (PDF) on September 21, 2013. Retrieved December 24, 2014. ^ Cooper, Christopher A.; Knotts, H. Gibbs (2010). “Declining Dixie: Regional Identification in the Modern American South”. Social Forces. 88 (3): 1083–1101. doi:10.1353/sof.0.0284. ^ a b Rice, Tom W.; McLean, William P.; Larsen, Amy J. (2002). “Southern Distinctiveness over Time: 1972–2000”. . 23: 193–220. ^ “Population Distribution and Change: 2000 to 2010” (PDF). United States Census Bureau. March 2011. Archived (PDF) from the original on February 28, 2017. Retrieved February 28, 2017. ^ “CSG Regional Offices”. Council of State Governments. 2012. Archived from the original on February 20, 2014. Retrieved February 13, 2014. ^ “SouthEastern Division of the American Association of Geographers”. SouthEastern Division of the American Association of Geographers. ^ “United States: The Upper South”. Encyclopædia Britannica, Inc.
^ VA health care resource allocations to medical centers in the Mid South … ISBN 9781428938656. ^ Thomas, Richard K.; Jones, Virginia Anne (1977). “The Mid-South”. google.com. ^ “The Civil War in West Virginia”. 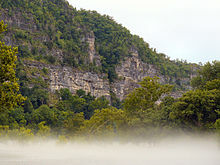 wvculture.org. Archived from the original on November 30, 2013. ^ a b c Prentice, Guy. “Native american archeology and culture history”. Retrieved February 11, 2008. ^ Barker, Deanna. “Indentured Servitude in Colonial America”. National Association for Interpretation’s Cultural Interpretation and Living History Section. Archived from the original on October 24, 2009. Retrieved November 3, 2016. ^ a b c “Ancestry of the Population by State: 1980 – Table 3” (PDF). census.gov. ^ “The Peculiar Institution of American Slavery”. Retrieved June 11, 2008. ^ “Commentary: Lincoln’s Proclamation”. Archived from the original on September 6, 2014. Retrieved September 30, 2014. ^ “Nineteenth Century Death Tolls: American Civil War”. Retrieved August 22, 2006. ^ “Toward a social history of the American Civil War: exploratory essays Archived November 6, 2011, at the Wayback Machine“. Maris Vinovskis (1990). Cambridge University Press. p. 7. ^ “Chapter 3: An Easy Adjustment to the Post War Nation: Pensacola Between 1865 and 1870” (PDF). fsu.edu. December 4, 2010. Archived from the original (PDF) on September 10, 2006. ^ “First Measured Century: Interview: James Gregory”. Retrieved August 22, 2006. ^ “Texas Medical Center”. tshaonline.org. 2010-06-15. ^ “U.S. News Best Hospitals: Cancer”. usnews.com. Archived from the original on April 6, 2012. ^ “Chart: States With The Most Fortune 500 Companies”. 2013-09-10. Retrieved September 30, 2014. ^ “State jobless rate below US average”. The Decatur Daily. August 19, 2005. Archived from the original on September 28, 2007. Retrieved February 12, 2007. ^ Matus, Ron, (March 6, 2005). “Schools still rank near the bottom”. St. Petersburg Times. Retrieved September 5, 2007. ^ “Graduation Rates Rise in South, Study Finds”. Education Week. October 14, 2009. Retrieved January 12, 2013. ^ Cooper, Christopher A.; Knotts, H. Gibbs (2004). “Defining Dixie: A State-Level Measure of the Modern Political South”. American Review of Politics. 25: 25–39. ^ Smith, William L. (2009). “Southerner and Irish? Regional and Ethnic Consciousness in Savannah, Georgia” (PDF). Southern Rural Sociology. 24 (1): 223–239. ^ Smith, M. G. (1982). “Ethnicity and ethnic groups in America: the view from Harvard” (PDF). Ethnic and Racial Studies. 5 (1): 1–22. doi:10.1080/01419870.1982.9993357. Archived from the original (PDF) on July 21, 2015. ^ a b “Table 3a. Persons Who Reported a Single Ancestry Group for Regions, Divisions and States: 1980″ (PDF). census.gov. ^ a b “Table 1. Type of Ancestry Response for Regions, Divisions and States: 1980” (PDF). census.gov. ^ “Baptists as a Percentage of all Residents”. Department of Geography and Meteorology, Valparaiso University. 2000. Archived from the original on May 22, 2010. ^ “The most and least religious states in the US – Mississippi comes out top, Vermont is bottom – Christian News on Christian Today”. christiantoday.com. ^ Meyer, Robinson (September 5, 2014). “Here Is Every U.S. County’s Favorite Football Team (According to Facebook)”. The Atlantic. ^ “2014 National College Football Attendance” (PDF). ^ Writers’ Program of the Work Projects Administration on the State of Texas (1942). Houston: A History and Guide. American Guide Series. The Anson Jones Press. p. 215. LCCN 87890145. OL 2507140M. ^ “Base Ball Club”. The Weekly Telegraph. April 16, 1861. Retrieved December 10, 2012. ^ Cutler, Tami (March 31, 2014). “2014 Division I Baseball Attendance” (PDF). National Collegiate Baseball Writers Association. Retrieved January 20, 2015. ^ “MLB Attendance”. ESPN. Retrieved January 19, 2015. ^ “Adult Obesity Facts”. Overweight and Obesity. Centers for Disease Control and Prevention. August 13, 2012. ^ a b Baird, Joel Banner (June 30, 2010). “Study: Vermont among least obese states”. The Burlington Free Press. Burlington, VT. pp. 1A, 4A. Retrieved May 12, 2013. ^ “The Six Worst States for Sleep”. 247wallst.com. Retrieved June 29, 2016. ^ Rachel Pomerance, “Most and Least Obese U.S. States”, U.S. News & World Report, August 16, 2012. ^ Cullen, Mark R.; Cummins, Clint; Fuchs, Victor R. (2012). “Geographic and Racial Variation in Premature Mortality in the U.S.: Analyzing the Disparities”. PLOS ONE. 7 (4): e32930. doi:10.1371/journal.pone.0032930. PMC 3328498. PMID 22529892. ^ CDC. “Death in the United States”. ^ Fenelon, A. (2013). “Geographic Divergence in Mortality in the United States”. Population and Development Review. 39 (4): 611–634. doi:10.1111/j.1728-4457.2013.00630.x. PMC 4109895. PMID 25067863. ^ Wiess, AJ and Elixhauser A (October 2014). “Overview of Hospital Utilization, 2012”. HCUP Statistical Brief #180. Rockville, MD: Agency for Healthcare Research and Quality. ^ Torio CM, Andrews RM (September 2014). “Geographic Variation in Potentially Preventable Hospitalizations for Acute and Chronic Conditions, 2005–2011”. HCUP Statistical Brief #178. Rockville, MD: Agency for Healthcare Research and Quality. ^ Matt Stiles, “The State of the Cancer Nation”, NPR, April 17, 2015. ^ 2nd map in “Cancer Prevention and Control, Cancer Rates by State”, Centers for Disease Control and Prevention, August 25, 2014. ^ “Tracking New Trends in Race Migration”. News & Notes. National Public Radio. March 14, 2006. Retrieved April 4, 2008. ^ “Study shows Memphis among most integrated cities”. Memphis Business Journal. January 13, 2003. ^ “League of the South Core Beliefs Statement”. League of the South. June 1994. Archived from the original on June 15, 2008. Retrieved June 12, 2008. ^ “Table 1. City and Town Population Totals: 2010-2017: (CBSA-EST2012-01)”. March 2016 United States Census. United States Census Bureau, Population Division. ^ “Table 4. Annual Estimates of the Population of Metropolitan and Micropolitan Statistical (CBSA-EST2012-01)”. March 2017 United States Census. United States Census Bureau, Population Division. ^ “Annual Estimates of the Resident Population: April 1, 2010 to July 1, 2017 – United States — Combined Statistical Area; and for Puerto Rico”. United States Census Bureau, Population Division. March 2018. Retrieved March 31, 2018. Flynt, J. Wayne Dixie’s Forgotten People: The South’s Poor Whites (1979). deals with 20th century. David M. Katzman. “Black Migration”. The Reader’s Companion to American History. Houghton Mifflin Company. James Grossman (1996). “Chicago and the ‘Great Migration‘“. Illinois History Teacher. 3 (2). Archived from the original on September 3, 2006. Heather A. Haveman (2004). “Antebellum literary culture and the evolution of American magazines”. Poetics. 32: 5–28. doi:10.1016/j.poetic.2003.12.002. Morris, Christopher (2009). “A More Southern Environmental History”. Journal of Southern History. 75 (3): 581–598. Howard N. Rabinowitz (September 1976). “From Exclusion to Segregation: Southern Race Relations, 1865–1890”. Journal of American History. 43: 325–350. Virts, Nancy (2006). “Change in the Plantation System: American South, 1910–1945”. Explorations in Economic History. 43 (1): 153–176. doi:10.1016/j.eeh.2005.04.003. Wells, Jonathan Daniel (2009). “The Southern Middle Class”. Journal of Southern History. 75 (3): 651–. University of Mississippi Libraries. “Southern Studies”. Library Guides.